The language institute TREFFPUNKT-ONLINE offers distance learning via Skype but also "close-up" instruction, i.e. Home Tuition: Learning & living in the home of the private language teacher. In the upcoming Newsletter issues, we will present one of the various programs at a time. in March is the tender start of spring time and what would be more stimulating than to got out out and to indulge in nature? 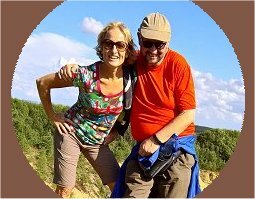 Look at the study combination intensive German training and walking with your teacher >>>. "Goethe's << Faust >> is the most glorious work of modernism. ... Faust's pursuit of progress characterizes the world of today". This is as Jeremy Adler put it in the Swiss newspaper NZZ.ch, as a response to a new hybrid issue, historical and critical, that was published in 2018. 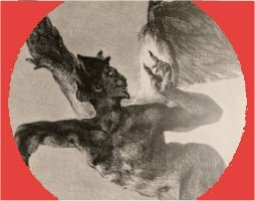 It is available in printed form "Faust edition complete" and here Faustedition.net. For the first time it is possible to follow every step of the composition of << Faust >>. 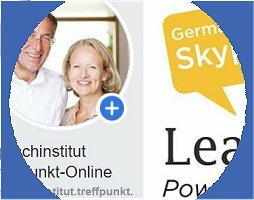 A rich source for all lovers of Goethe and Faust..
We have now summarized our 1-to-1 language training on a new Facebook page | Community for all who study German or English | Resource Platform | Courses 1-to-1 | Online via Skype or Home Tuition German in the home of the language teacher | professional – profound – perfect. No joke! Romantic offer for total beginners! On April 1st, the next German Mini Group Course for total beginners will start at TREFFPUNKT Language Institute in Bamberg, Germany. In our Mini Groups with maximum 8 participants, students will learn German quickly. In our communicative classes, they will learn to speak to Germans – and in the afternoons, they will go out with our teachers and use the knowledge they have gathered in the mornings. 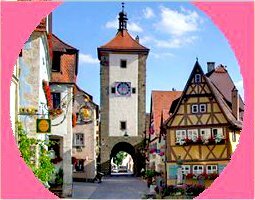 Every total beginner who enrols from April 1st for at least three weeks will get an excursion to the romantic town of Rothenburg ob der Tauber for free! . 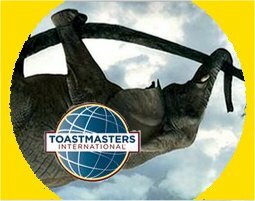 The worldwide acting Toastmasters are a great opportunity to talk in a foreign language, to make new contacts and at the same time to practice your rhetorical skills in a relaxed and motivating atmosphere. There are groups in Nuremberg for English and German. In smaller cities like Bamberg it is currently English only, there the meetings take place on the 1st and 3rd Monday of each month. Participating as a guest is definitely worthwhile and free.